Verizon's Mail-In-Rebate Form: New phones out in November?? The latest news in here: Verizon's Mail-In-Rebate form shows us that several new phones are expected to be released on or after November 21st. First comes the LG Spectrum 2 model VS930, replacing the original LG Spectrum VS920 that was released earlier this year. The LG Spectrum 2 recently got pictured online, and may have a release date of November 3rd. Specs of the device include a 4.7" 720x1280 IPS display, 1.5GHz dual-core Snapdragon S4 processor, 1GB RAM, 16GB of internal storage, and an 8MP camera. Next is the Nokia Lumia 822, which would be the first ever Windows Phone 8 device for Verizon. It will be available in 3 colours- Black,White and Gray at a price of $99.99 with a two year contract. Specs include a 1.5GHz dual-core Qualcomm Snapdragon S4 Pro processor, 4.3" 480x800 AMOLED display, 1GB RAM, 8GB of internal storage, and an 8MP camera with Carl Zeiss optics. Last but not the least, is the Samsung Galaxy Stratosphere 2. The new model will still have a slide-out QWERTY keyboard, but will also include a larger 4.3" Super AMOLED display, 1.5GHz dual-core Snapdragon S4 processor, and an 8MP camera. Let us see how these devices are for Verizon. 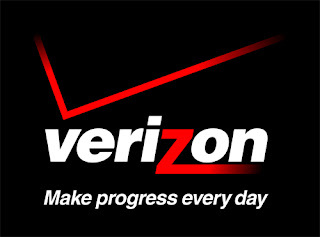 0 Respones to "Verizon's Mail-In-Rebate Form: New phones out in November??"